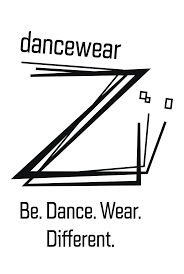 Mademoiselle Danse selects for you every season some dance articles that combine comfort, grace and technicality. The Repetto pointe shoes are widely recognized in the world of dance. Repetto offers different models that adapt to different levels and morphologies of different feet. Mademoiselle Danse therefore naturally selected the Julieta pointe shoes specially designed for beginners. Thanks to the flexibility of the sole the young dancers could learn the advanced work smoothly. The Carlotta and the Alicia will be suitable for more experienced dancers and exist in different widths and hardnesses. New Repetto pointe shoe.It will be perfect for dancers who have a few years of practice.3/4 shank, which allows to go easier on pointe. Sold with sewn cotton ribbons.High vamp, medium sole.Exists in medium and large wide. Mademoiselle danse likes: the ribbons yet sewn! 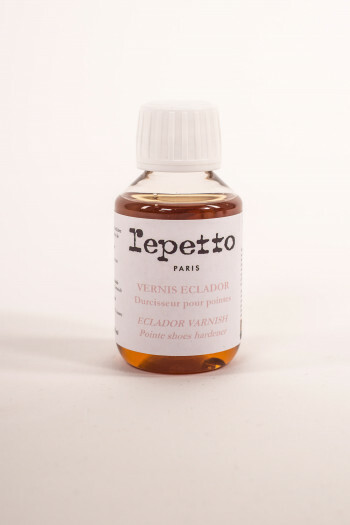 Hardener varnish for pointe shoes.This varnish will lengthen the life of your pointe shoes!Put some varnish inside your shoes and let it dry during 24 hours.100 ml. New Repetto pointe shoes.It will be perfect for dancers with a few years of practice.3/4 sole to facilitate the climb on pointe shoes. Pointe shoes comes with already sewn cotton ribbons.Upper vamp. Hard sole.Available in 2 widths, Medium and Large. Mademoiselle Danse loves : cotton ribbons already sewn! 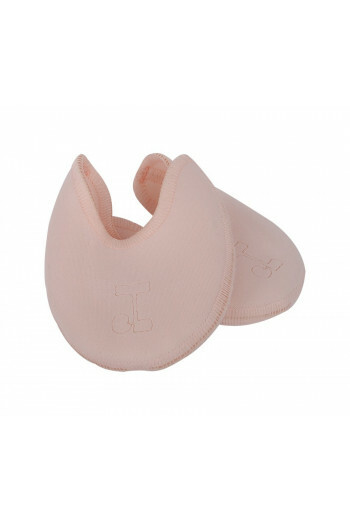 Pointes toe pad Silicon pad covered by lycra, theses pads will diminish the toes pains and limit the frictions on the toes causing blisters.Suit perfectly the Repetto pointes and the low uppers.To wash with soap and lukewarm water. Mademoiselle Danse likes: the possibility to kepg the pads several years.